“Diversity for us is much more than a values issue or a numbers game. The event was hugely successful and I am so proud of the Award Winners, our sponsors, our marketing partners, our conference planners Proper Planning, and my staff at IWL! We even garnered a three-minute news-feature on CBS in San Francisco! 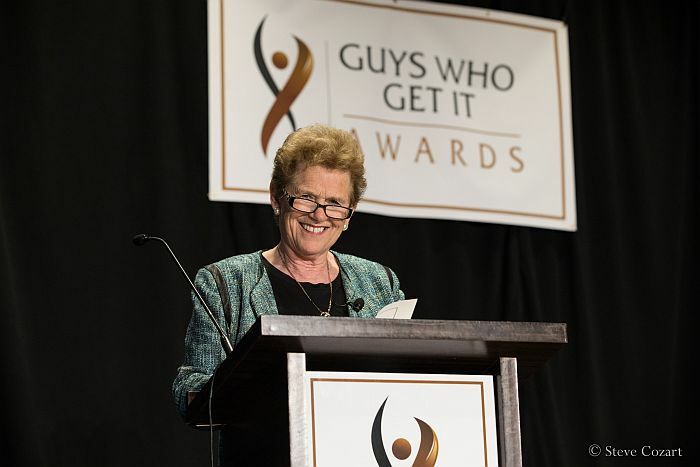 Here’s the complete list of our Guys Who Get It, the men who have worked to make Gender Partnership a cultural norm at their companies and advance women’s leadership. There is a link on the names of our top award winners that will tell you about them and their achievements in the service of gender equity. Thank you to ALL of them!! 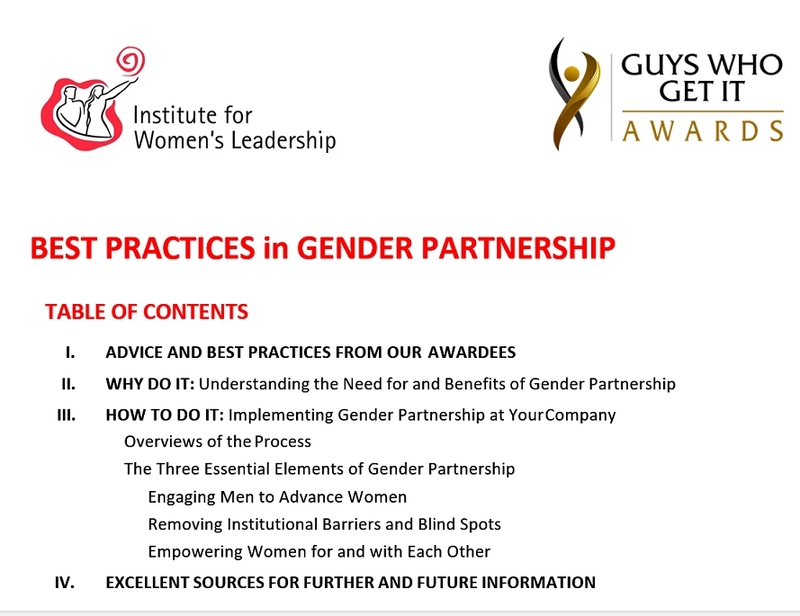 A key aspect of this event was for the “Guys” to share their Best Practices for Achieving Gender Partnership. We have assembled their stories and added quite a few links to best practices from publications like Harvard Business Review, The New York Times, Fortune, Forbes, Fast Company, and more. We have posted this 20-page pdf on the IWL website so you can download it and have enduring access to it. My warmest thanks and deepest gratitude to everyone who made this possible!